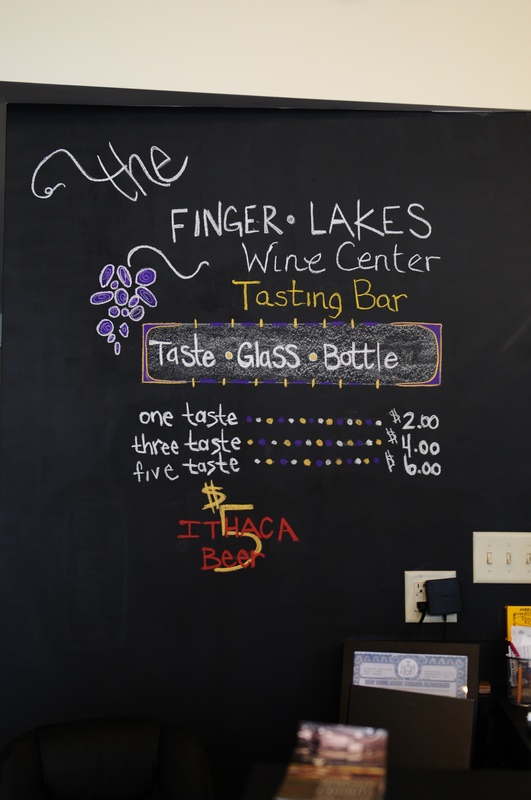 To celebrate my birthday, my friends and I stopped by the Finger Lakes Wine Center. From my experience, people who work at alcohol-related places are incredibly friendly. How can you not be when you’re surrounded by fermented juice? 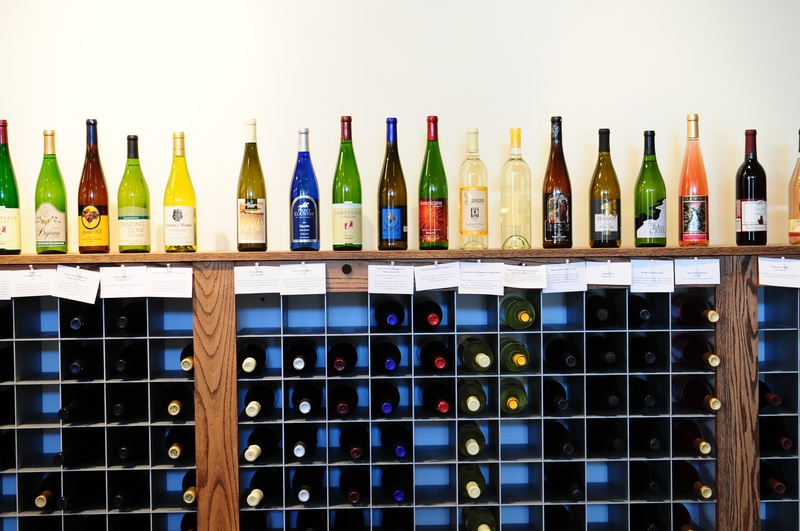 This wine center, located near the Ithaca Commons, is only a few blocks from the TCAT bus stop (perfect for Cornellians who don’t want to choose a DD). 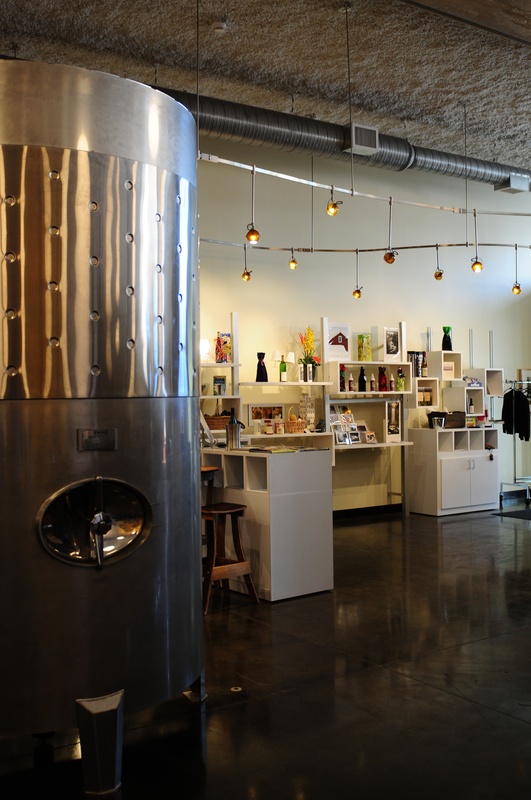 The wine center was recently renovated and would be a great venue for professional gatherings or intimate parties. It’s a spacious place with a high ceiling, a separate shop area displaying local foodstuffs, and a lounge with soft seating. 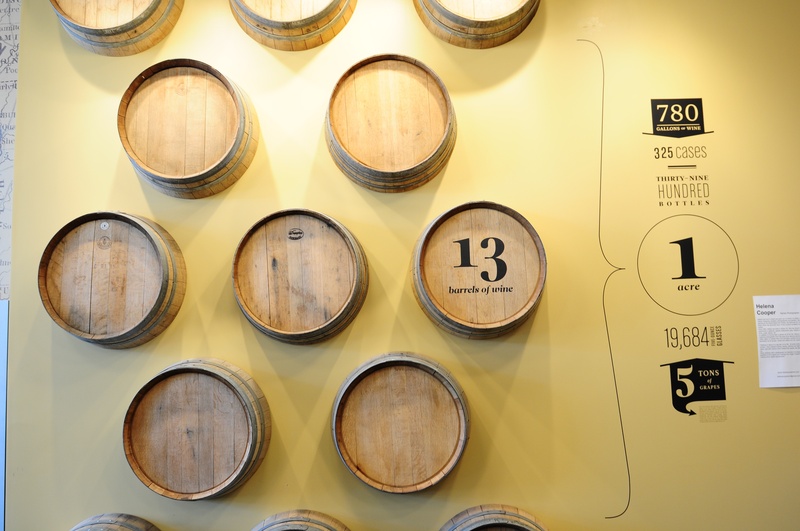 Wine facts are creatively shown on the walls; one part shows samples of various soil compositions that make up the Finger Lakes areas. Since we did not have any varietal preferences, the lady helping us chose a hodgepodge of three white wines, one red, and one rosé. 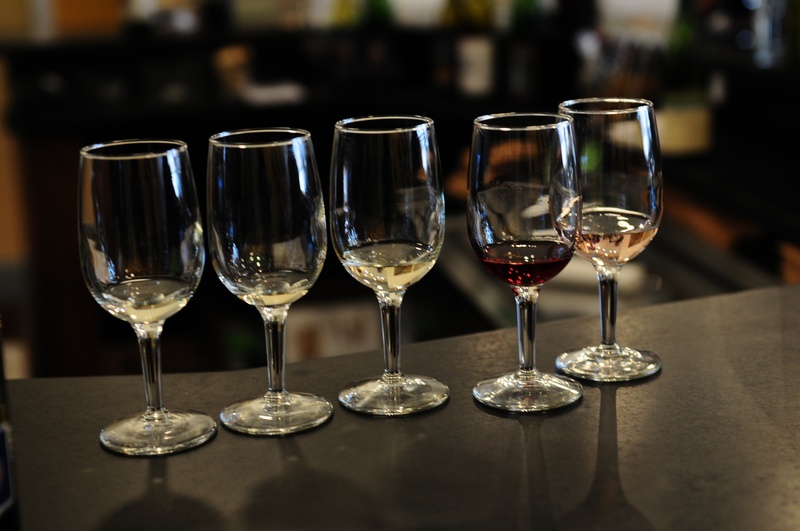 All wines are local. Our favorite was the Lamoreaux Landing 2010 Dry Reisling for its refreshing peach and apricot notes. Now for the pictures! This entry was posted in Reviews, Wine. This looks great! I wish it was there when I was at Cornell!